this tree is from my collection in 2000 from cutting.The rock that i collect from quarry was very unic because there was 2 parts red and white. I have a few ficus in my collection. 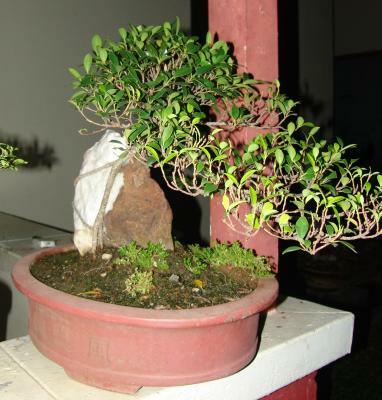 Like to show it to friends in Bonsai for beginners. Your tree is nice especially the branches flowing to the right. I like it.